I was thoroughly pleased to receive so many wonderful materials to work with, but what could I do with them all that would make fun Easter crafts for kids? After some discussions with my three little people I came up with some very simple and fun craft ideas. 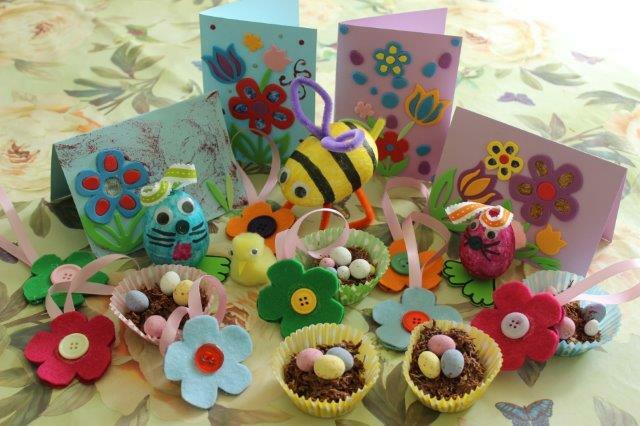 The kids had a fabulous time and I think they did a really great job with their Easter creations. If you would like to make your own versions of these fun crafts keep checking back as I’ll post up full tutorials over this coming week. 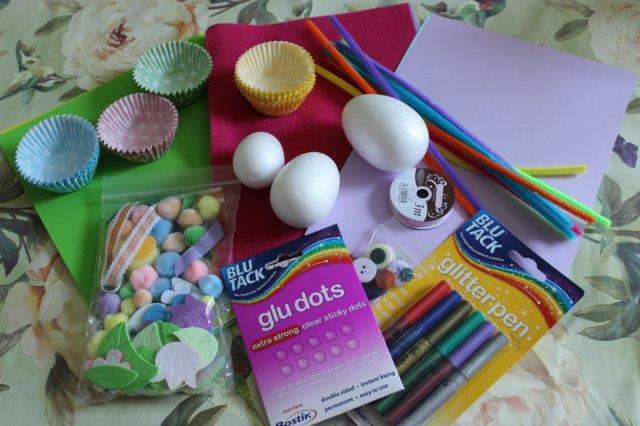 This entry was posted in Tutorials and tagged bostik, children, childs, craft, easter, kids. Bookmark the permalink.